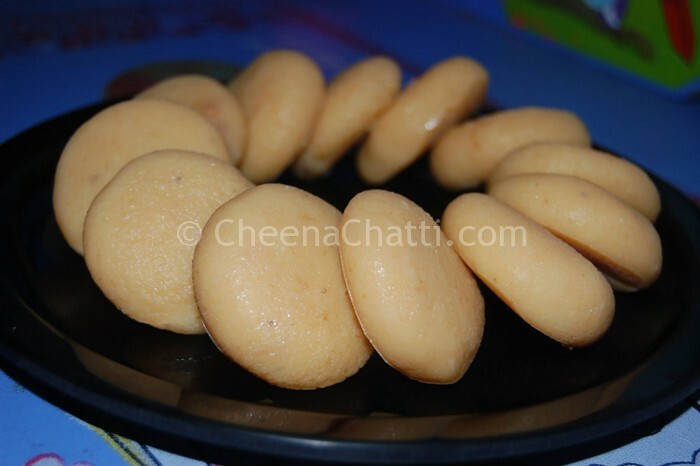 Milk pedas are prepared mainly during the festival season like Diwali, Poojas etc. In North India, milk pedas are distributed among friends and neighbors to share the joy of birth of a male child in the family (If its a female child they distribute Burfi). This recipe will teach you how to make the Indian Milk peda at home easily. Heat a heavy bottom broad pan. Add butter and melt it. Add all other ingredients one by one and mix very well. Stir occasionally until it get a thick consistency. Wear a glove while stirring, at this point, there is a chance of spluttering. Lower the flame and stir very well without taking hands. The batter gets more thicker and you can see the sides gets separated while you stir. When all of its water content is dried, switch off the flame. (It takes around 45 minutes or more). Apply a touch of ghee on the palm and make small balls out of it, just press the middle and arrange in a buttered wax paper. You can keep the milk pedas in an airtight container, as it is difficult to eat and finish in a day or two! This entry was added on April 22nd, 2014 by Athira Sooraj in Bakery and tagged with easy peda recipe, easy milk peda recipe, how to make doodh peda, how to make milk peda at home, peda, sweets, milk peda, easy milk peda, indian milk peda recipe. Last revised on April 4th, 2018.